Let us help by connecting you with funding opportunities specifically designed to enhance professional development opportunities and offset program costs for coaches enrolled in the Advanced Coaching Diploma program. All financial assistance opportunities are based on meeting eligibility requirements throughout the duration of the program. This bursary is awarded to ACD diploma coaches to assist in covering travel and accommodation to attend ACD face-to-face workshops. Coaches’ travel will be reimbursed up to a maximum of $100.00 per event where applicable, and will be paid upon ensuring completion of program requirements and appropriate receipts submitted. The Spring 2017 application window is now closed! The next application window opens in Fall 2017. Be endorsed by National Sport Organization with minimum Level 3 certification or equivalent. Be actively coaching athletes throughout the duration of the ACD program. Pay designated tuition for ACD program. Coaches should forward a letter of interest outlining prospective eligibility requirements to the Canadian Sport Institute Pacific System Excellence Director. 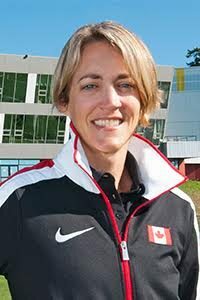 Selection of candidate will be made by the Canadian Sport Institute Pacific System Excellence Director. This is an incentive based $500 bursary for ACD graduates who are selected to coach Team BC at a Canada Summer Games, Canada Winter Games, or Western Canada Summer Games. The purpose of the bursary is to raise the qualification standard for Team BC Games coaches and recognize the commitment made in coaching at the games. Provincial Sport Organizations are encouraged to identify Games coaches who are Diploma graduates or are eligible to enroll in Advanced Coaching Diploma programming at least two years out from a designated Canada Games. Have completed the Advanced Coaching Diploma at Canadian Sport Institute Pacific. Be verified as a Team BC selected coach accredited at the Canada Games to coach Team BC athletes. Provide evidence of completing Diploma requirements in either the old or new program, or they must be verified by Canadian Sport Institute as a graduate of the program. Be a current member in good standing of Coaches of Canada. Bursary is eligible for future Games starting in 2013. Coaches should forward a letter or email outlining all eligibility requirements to the Canadian Sport Institute Pacific System Excellence Director. This grant is administered through viaSport. The Bob Bearpark Bursary Awards, founded by the Coaches Association of BC and funded by the Bearpark Foundation, supports the ongoing development of coaches in British Columbia in High Performance coaching, coaching education for women, aboriginal coaches, and coaches of athletes with a disability. Bursaries will be awarded to recipients up to a maximum of $250.00 through the grant streams. Coaches of athletes receiving funding through the BC Athlete Assistance Program or Team BC coaches to upgrade their coaching qualifications through the National Coaching Certification Program (NCCP). Provincial Sport Organization coaches funded through the Integrated Performance System (IPS). Bursaries will be available to BC coaches undertaking NCCP Competition-Development or Advanced Coaching Diploma modules. Support of $100.00 per Competition-Development module and $100.00 per Advanced Coaching Diploma course may be awarded. These grants are administered through viaSport. The Coaches BC Legacy Fund was set up in 2013 with the goal of encouraging more community level coaches to become involved, to further their education, and to receive training and/or certification. As a result, four coach grant categories have been created to assist Provincial Sport Organizations, community clubs, and coach developers. Eligible applicants are invited to apply with the intent of utilizing/distributing it to coach developers as grants ranging from $100 – $600. The purpose of the Gord May Coach Innovation Grant is to assist with the education, professional development, training and/or certification of coaches in BC. Specifically, this grant is intended for initiatives that go above and beyond and demonstrate an innovative or unique approach to professional development. The initiatives may also support coaches who are either in a unique situation (e.g. apprenticing, geographically isolated) or have overcome adversity. The purpose of the Tim Frick Coach Development Grant is to assist with the education, professional development, training, and/or certification of coaches in BC. This scholarship is provided to support provincially and nationally targeted coach or technical sport leaders who are coaching athletes or directing programs in the sport’s High Performance pathway. The intent of this scholarship is to encourage the highest quality of coach or sport leader entering the Graduate Certificate. All coaches must be endorsed by their National Sport Organization identifying them as making a significant impact on the development of athletes/programs in the pathway, or national team success. Successful applicant must apply to Canadian Sport Institute Pacific and will be notified of scholarship upon being admitted into the program. The scholarship will be paid to the coach upon demonstrating payment of tuition fees. Up to $500.00 per registered course in the Graduate Certificate (payable to coach), up to a maximum of $2,000.00. Up to 10 full scholarships ($2,000.00) depending on student eligibility. Additional scholarships may be issued depending on registration into Graduate Certificate courses. Must be endorsed by National Sport Organization (Letter of Endorsement) indicating significant impact on development of athletes or national team success. Must be successfully admitted into the Graduate Certificate in High Performance Coaching and Technical Sport Leadership. Coach / Sport leader must be a current member in good standing of Coaches of Canada. Priority will be given to BC-based coaches/leaders with highly prioritized Canadian coaches/leaders given consideration based on selection criteria below. Will be paid upon receiving receipt of tuition. Coaches must complete online application highlighting selection criteria below in addition to providing a letter of endorsement from NSO. Selection of candidate will be made by Canadian Sport Institute Pacific based on the table outlined below. Candidates who are from BC and who score the highest accumulated points will be prioritized for the scholarship. A minimum threshold of 18 accumulated points is desired.